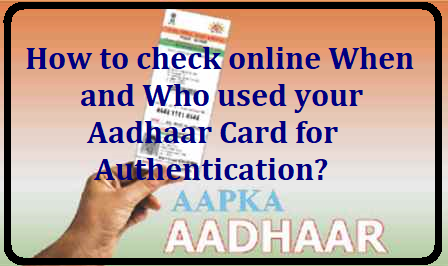 Using UIDAIs Aadhaar Authentication History feature, you can easily check online when and who used your Aadhaar Card.You have to link your Aadhaar Card to Bank Accounts, EPF, PAN, Life Insurance and Mutual Funds. Hence, Aadhaar Card now became an important document. Considering the importance of this and also the possibility of misuse by someone, UIDAI launched the facility to check online when and who used your Aadhaar Card. This service is called as “Aadhaar Authentication History”.